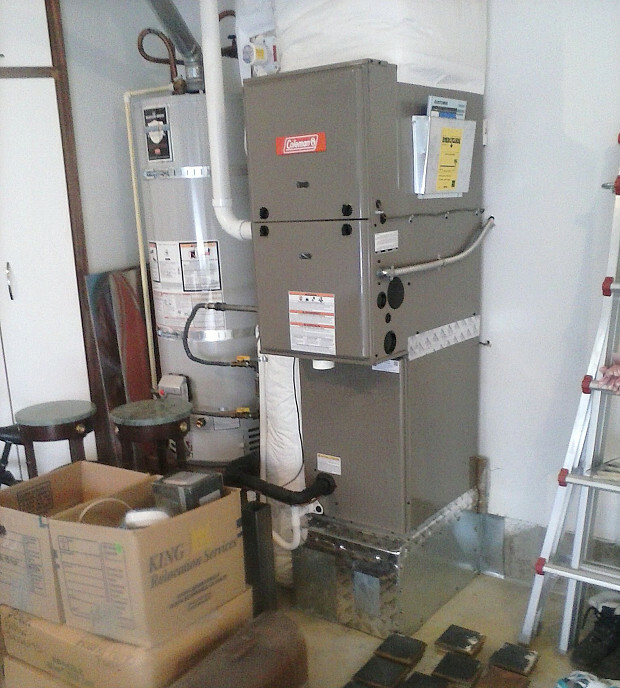 WHAT OUR NETWORX CONTRACTOR DID FOR US: Installed a new 2-stage gas furnace and 13-SEER air conditioner. Removed and disposed of the old units. WHY WE CHOSE HIM: Professionalism, knowledge of his field, excellent price. To find a contractor, I went online and quite frankly, just stumbled on the Networx site. One of the contractors that I was referred to, Service First Heating and Cooling, came out and I interviewed him. My first impression was that he was very professional. Then, based on his estimate of what the work would cost, I did additional research online with model numbers of the units so I could do a side-by-side comparison of what I was being charged with the other bid I’d received. I found that the price he had given me was actually the best that I could find, so I went with his company. They replaced our furnace and our air conditioning system and took the old units away. 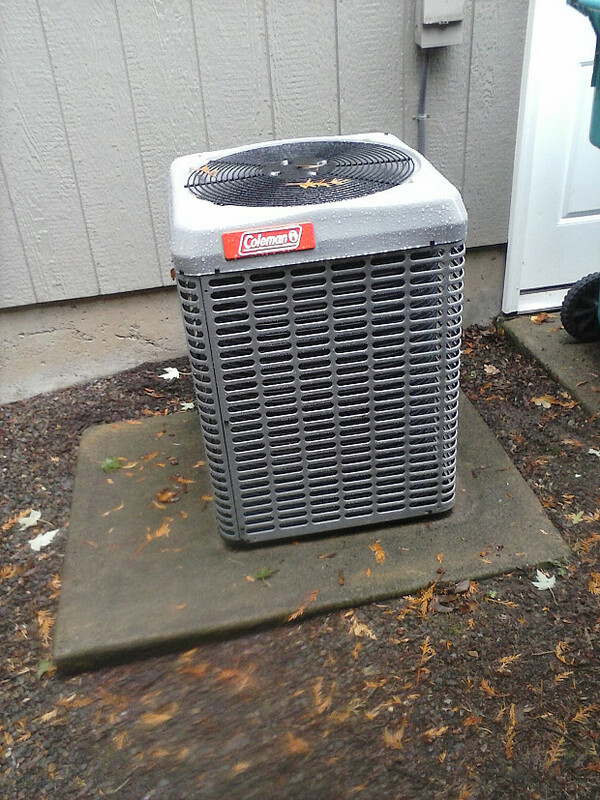 We ended up going with a Coleman 2-stage furnace (gas like the original) and a 13-SEER air conditioner. So far, as of the beginning of October, we’ve only used the furnace. They tested the A/C before they left, but we won’t actually use that for 6 months or so. The important thing about the 2-stage furnace versus the single stage is that the single stage is like a car with only 2 options – full speed or nothing. The 2-stage, on the other hand, initially comes on using less power and less gas; then it runs for 10 minutes and if it reaches the proper temperature, then it shuts off. If ithe house is especially cold, after 10 minutes it steps up to a more forceful setting – the fan goes higher or more gas comes out and it heats up more quickly, but in a relatively mild climate such as ours in western Washington, you don’t often need that 2nd stage. As a result, it ends up being quite economical, according to what I read on the internet. Service First said, “If you like to do research, I suggest you read about the 2-stage, because it’s more economical. It’s not either on full blast or completely off. Here’s the difference in cost between the 2 units. Make your decision and let me know what you want to do.” I’d never heard of 2-stage furnaces before and was impressed by his suggestion. The other contractor didn’t even mention the subject. We bought to retire up in Washington, but who knows if we’re staying in this home or not? In the interim, though, we’ve got a really good unit, which we’re happy with, and if the subject ever comes up during resale, it’s got a 15-year warranty. This particular vendor is a family-run business, about 15 years old. We just had our gas fireplace serviced by one of his sons because we‘re so pleased with the furnace. The fireplace hadn’t been taken care of since the home was built, either. When you need to hire a contractor, interview the person and have them come out to your place because very often you can read people when you see them face to face. Having been in banking and lending for 40 years, I can read people fairly well. Get a good feel for whether you think the contractor is honest and trustworthy or not by looking at how the individual presents themselves and whether they take care of their vehicle and their equipment. That will give you a clue as to whether they’ll do a good job or be kind of sloppy. When I was in the military many years ago, I found that people who dress sloppy tend to be sloppy troopers. I’d also verify their business license. Read the online reviews ... but keep in mind this axiom of sales: People who are going to complain, complain; people that are happy often don’t say anything. Finally, pay attention to price but remember, cheapest isn’t necessarily the best.